The new addictions course that is available on-line this week at PAHA is “Understanding Violence and Self-Harm“. 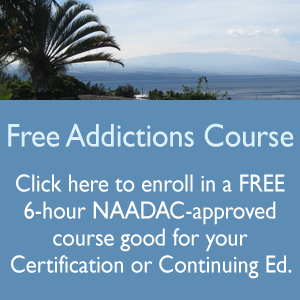 This is a 6-hour course that is available at our on-line training center anytime at http://substanceabusecounselortraining.com which covers the topic of violence and self-harm with a specific substance abuse focus for Nurses, Counselors, and other Health Professionals. Thank you for holding off on this class until after the holidays. I was anxious to just get the classes done but I’m glad I was forced to wait. The statistics surrounding DV, child abuse and suicide made me cry. If children were nurtured and taught empathy from the beginning, it’s hard for me to believe that there would be so much domestic violence and suicide in the world. Being a 1st time mother and relizing that I haven’t hardly met any other parents who don’t hit their kids is so sad to me. What makes a person think that hitting a child could have any long term benefits? It sets the stage for violence and makes no sense to me. This topic is always a sensitive spot with me. Any form of abuse on anyone, especially children or elderly, hurts my heart. It’s sad to know that although we as a human race have “evolved,” we still continue to demonstrate barbaric traits.